If you thought the Kepler spacecraft’s glory days were over, think again. Today at the 227th meeting of the American Astronomical Society, astronomers announced a whopping 234 new exoplanet candidates discovered by Kepler in 2014. The best part? All of them are just tens of light years away. The deluge of planetary candidates are distributed among 208 star systems, which means we have the honor of welcoming many new multi-planet systems to our cosmic neighborhood. While these candidates aren’t confirmed yet, there’s a good chance most of them will be, according to Andrew Vanderburg of the Harvard Center for Astrophysics, who presented the findings today. All 234 were found during the first year of the K2 mission, which is scanning stars across the plane of our solar system, moving from one field of view to the next. Add these K2 planets to the 4,600+ candidate worlds (1,918 confirmed planets) discovered during Kepler’s original mission, and it’s fair to say this little telescope has become one hell of a planet hunter. From 2009 to 2013, the Kepler telescope stared at a fixed point in the sky, scanning targets located 500 to 1,000 light years away. It was searching for the faint dips in starlight that indicate planetary transits events, with two major goals in mind: root out rocky, Earth-sized planets in the habitable zone of Sun-like stars; and get the overall statistical distribution of all planets in our galaxy. For four years, the telescope performed beautifully, uncovering over a thousand planets and thousands more candidate worlds. 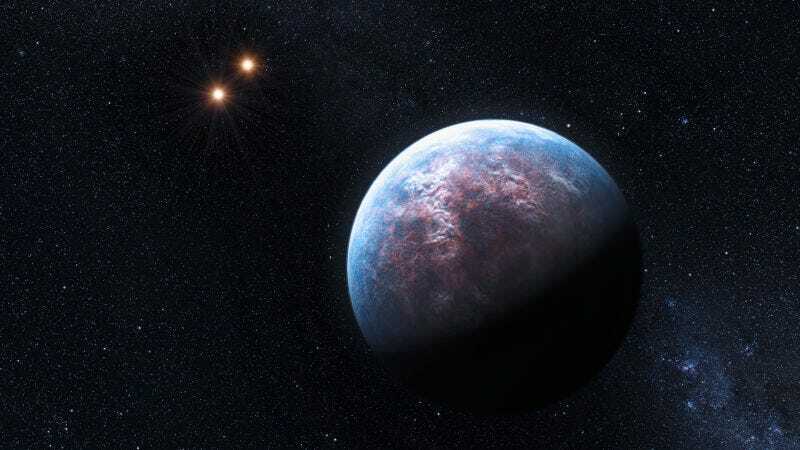 Three of these planets— Kepler-438b, Kepler-442b, and Kepler 452-b—are very similar to Earth in terms of their size and stellar radiation, leading to the tantalizing possibility that they might be habitable. Extrapolating from Kepler’s cosmic census, astronomers now believe there could be up to a billion rocky, Earth-sized worlds in our galaxy alone. In other words, thanks to Kepler, finding evidence of life beyond Earth is no longer a pipe dream. But by May of 2013, Kepler had lost two of its stabilizing reaction wheels. No longer able to maintain its laser-focus, the original Kepler mission was over. But since all of the scope’s optical instruments remained fully functional, the Kepler team submitted a new proposal for the telescope, and the K2 mission was born. Since the spring of 2014, Kepler has moved across the plane of our solar system (the ecliptic plane), observing different parts of the northern and southern hemisphere skies for 80 days at a time. The scope is currently on its eighth K2 observational campaign, and it’s still going strong. With a little luck and NASA’s blessing, we can expect at least ten more campaigns over the next few years. Moral of the story? Never say a broken telescope is useless. Before today, the K2 mission had officially confirmed 32 planets and identified just over a hundred candidates. Now, it’s yielded over a hundred more. So far, the distribution of these planets, in terms of their size and orbital distance, matches quite closely to the Kepler census planets discovered before K2. Image redrawn by M.Stone from data presented by W. Borucki in May, 2015. While the K2 candidates still need to be verified with additional observations, you can bet astronomers are going to be giving them a close look over the coming years. These worlds are much, much closer to Earth than the planets identified during the original Kepler mission. That makes them promising targets for future, high-res imaging studies, which begin with the James Webb Space Telescope in 2018. Indeed, K2 planets are among the first extrasolar worlds whose atmospheres we’ll be able to study in detail. Once we can decode atmospheric chemistry, we can start to say with confidence whether any of the myriad worlds beyond our solar system are habitable. Just maybe, we’ll get lucky and find ourselves a true Earth-twin, right in our cosmic neighborhood.